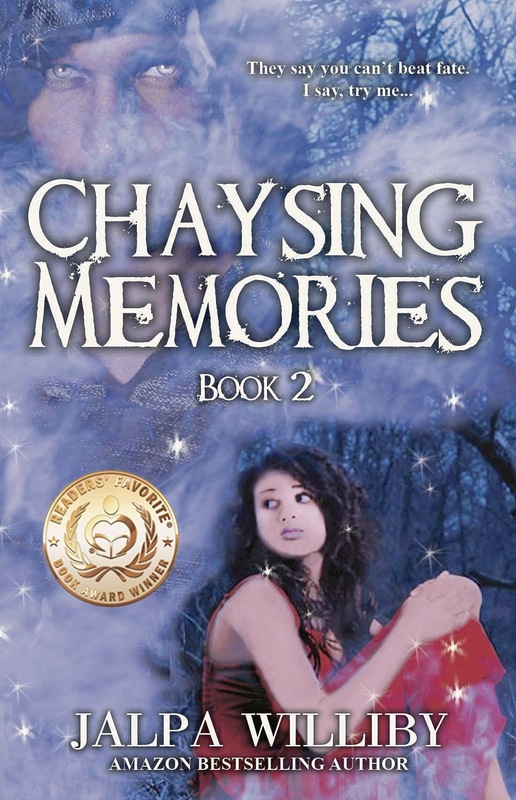 Chaysing Memories: Book of the Month Poll through Long and Short Reviews! This is so exciting! Just found out that Chaysing Memories is up for the Romance Book of the Month Poll through Long and Short Reviews! Yeah!!!! Would love your support! Please vote. The voting is only through Thursday and it’s listed amongst some great authors- Yikes! The winner will be announced Friday (so you have to vote soon). Thank you in advance! They say you can’t beat Fate. Maybe they’re right. What would you do if you can’t remember the one person in your life that means the world to you? What if you don’t have any of his memories? Chaysing Memories feels so personal. I think this is where I congratulate the author. Though the first book was good, this second book was incredible. The writing was exceptional, emotional and descriptive. Tess doesn’t remember Chayse but her world comes crashing down when she realizes she has lost three weeks of her life. From then on starts a fight where life and happiness is at stake. Chayse is trapped in hell and the only person who can save is the one who does not remember him. Maybe I am being a little cheesy but this story shows you the power of love and of the mind and how fate has a hand in our lives. A lot of secrets in her life are unraveled. A myriad of different events occur that will make her much stronger. The plot was well developed and the author made sure the mystery and suspense element of the book stayed through until the end. I loved every part of this, from the beginning to the end. My heart went out to them every time it felt like they are going to lose each other. But they stayed strong until the end. The ending….I was surprised. I think that’s all I can say without giving something away. For readers, I would very much recommend they read from book 1 first. l loved the second book. It made me cry and hope for more of this story to come. Those who love an epic love story should check this series out.